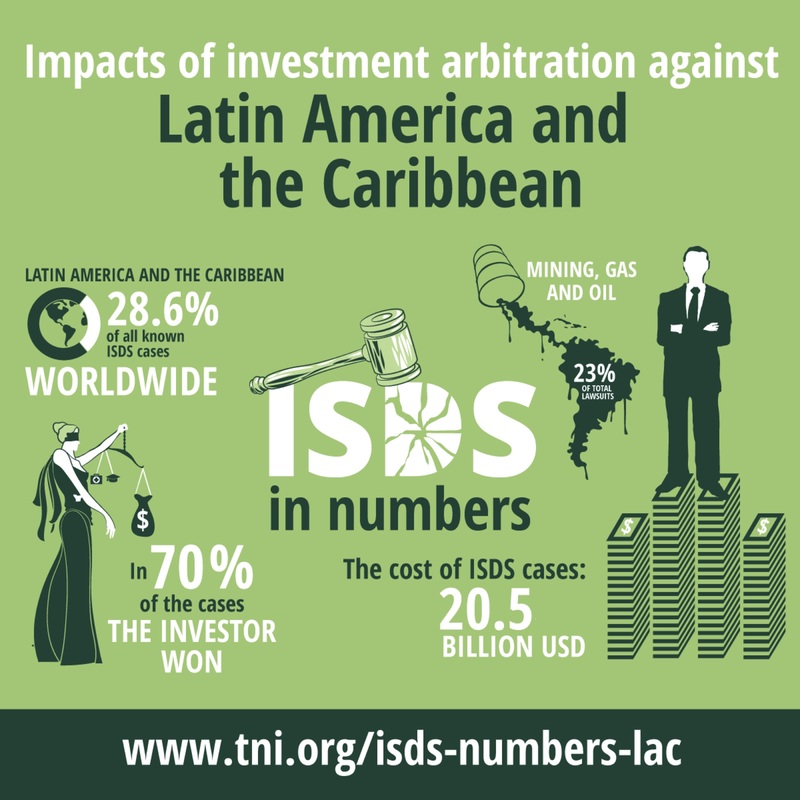 Latin American and Caribbean (LAC) countries are among the most affected by the investment arbitration system worldwide, representing 28.6% of all known investor-state disputes around the world. In particular, Argentina, Venezuela, Mexico, Ecuador, Bolivia and Peru accounts for 77.3% of the total number of claims against LAC countries. Investors have won in 70% of the cases brought against LAC countries. As a result, LAC States have already had to pay foreign companies 20.6 billion USD, which could cover Bolivia’s budget for health and education for four whole years.